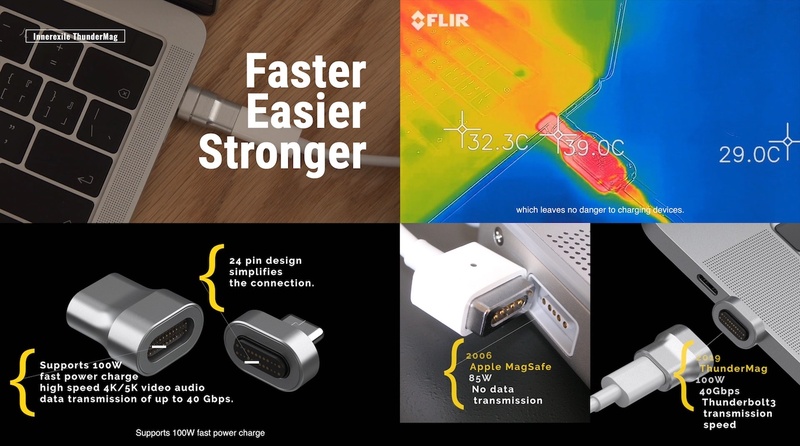 Thunderbolt3および100W PDに対応し、MagSafeの様に取り外しが可能なアダプタ「ThunderMag」がクラウドファンディングに登場。 | AAPL Ch. 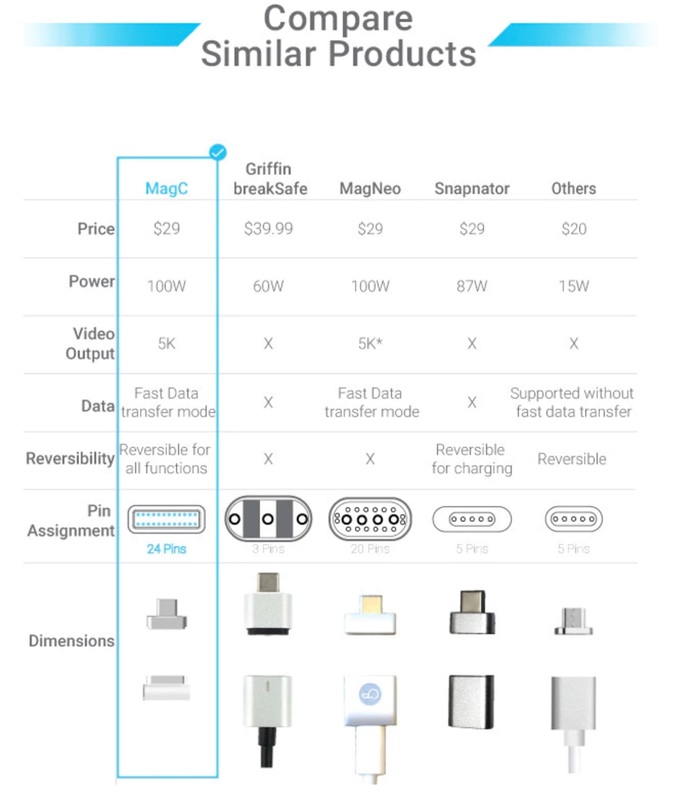 Innerexile is excited to unveil a new generation of magnetic power adaptor ThunderMag, a Thunderbolt3’s best companion. ThunderMag is the world’s fastest data transmission design, which operates at 40Gbps transmission speed and provides the most stable and secure data exchange environment. 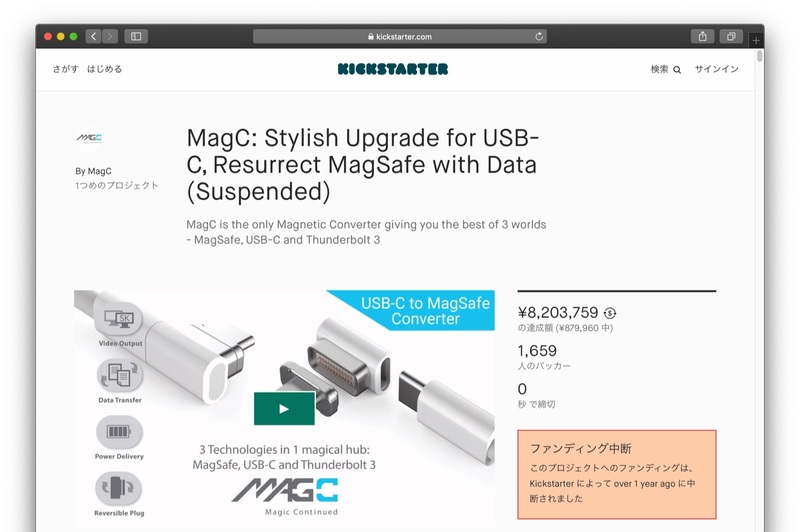 Given that Innerexile picked Kickstarter as the launching platform for the ThunderMag, I was naturally worried at first. […]Fortunately, I’ve been able to follow the ThunderMag’s progress closely, especially when I received the first prototype back in June last year. The near-final product I have now is thankfully a lot more polished, packing just the right amount of magnetic force to ensure the adapter breaks apart when the cord is pulled.